In a relatively low-key, 20 minute program at the end of this July, News Zero gathered three ""unconventional" Johnny's idols for a laid-back heart-to-heart on why they chose to take professional detours from the traditional idol path of singing, dancing, variety shows and acting. The three idols were Ohno Satoshi of Arashi (for his art activities), Sakurai Sho of Arashi (for his role as a newscaster), and Kato Shigeaki of NEWS (for his work as a writer of fiction). 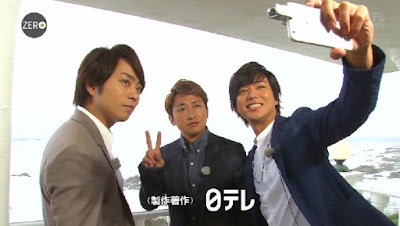 Now, I've admired all three of them for pushing the boundaries of idolhood (though I'll admit I didn't know much else about Shige as a person other than the fact that he liked to fish with Ohno), so I was naturally excited when I heard the announcement of this program. It just seemed like such a long overdue topic, and I feel like it's been quite a while since people were under the impression that idols (or at least, Johnny's idols) had to be strictly confined to the "conventional" idol activities, most of which are aimed at showcasing their physical appeal (whether that be the kawaii or kakkoii factor). I mean, sure, idoldom is still largely considered a field of shallow pleasures, but who really believes that an idol can have lasting appeal based solely on face value and a plastic public persona these days? Perhaps I'm a little biased since I follow Arashi so assiduously, and perhaps the general public is still very much under the impression that idols have to represent a life that is idealized, bright, and plastic, but regardless of that, it's already been seven years since Ohno's first (and very successful) art exhibition and ten since Sho first sat behind the News Zero counter. Many other Johnny's, like Koyama Keiichiro (NEWS) and Kokubun Taiichi (TOKIO), have taken up newscasting since, and I think we're already beginning an era where seeing an idol reporting the latest news alongside media elites is no longer considered jarring or abnormal (Heck, even Aiba has tried the caster role for a brief NHK gig on cuisine). And neither is the knowledge that an idol can actually do more than just "dabble" in "serious" arts like literature, or that they can create a repertoire of sophisticated artwork that showcases something a bit more twisted and imaginative than the sparkly perfection normally associated with an idol's image. I guess what I'm trying to say here (in a very convoluted way) is that idols these days are prized for being more than just an idealized version of youth and happiness. We, as an audience, are getting hungrier for the substance behind the glittering smiles, and our idols, in turn, are gaining more confidence in ventures into the art forms that are more reflective and lay bare more of their inner thoughts and fascinations. So this Spinoff program is really highlighting something that's been going on for a while, and I guess with Shige's new short story collection and Ohno's new art exhibition this year, the NTV staff simply decided that right now is a good time to air something like this because right now is when the expansion of these idol activities is gaining momentum. A few things stood out to me during the program. The first was how respectful Shige was towards both Ohno and Sho (he made sure his cup was lower than Ohno's when they did their kanpai! lol). Maybe this is just how he always is, but he seemed so genuinely interested in learning about the success of these two senpais. I remember when he was with Koyama on Sho's Abunai Yakai, they were all joking around and saying that in their eyes, "Sakurai-san is like a divine being!" Well, that was a variety show. In this Spinoff, he definitely had the same admiration in his eyes, just with a lot more earnestness. He even says here that it was Ohno, with his first FreeStyle exhibition, who opened his mind and allowed him to even entertain the possibility of a Johnny's doing something outside of the idol box. And then, of course, there's also that cute bit where Ohno recounts their fishing trip to Miyakejima, where all Ohno wanted to do was talk about fish, and all Shige wanted to do was pester him with questions about how he got to hold his exhibition. Sho: So Kato, what first inspired you to start writing? Shige: Well, I felt like I wasn't really of any significance to our group, and that troubled me. Then, I started writing my serial corner on Johnny's Web, and there were people who found it interesting, so that was probably when the idea began to bud in my mind, you know, the idea that I could maybe contribute something to my group by writing. And the person who made me realize that this was actually a feasible thing was... Ohno-kun! Sho (laughing): What do you mean? Shige: I had gotten a copy of the Freestyle book from the agency, and I was really moved by it, you know! I was just like, "Wow, so it is possible for a Johnny's to become the kind of artist who can hold personal exhibitions!" Sho (to Ohno): Did you know about this? Ohno: Yeah, he came to me for advice on it. Shige: And we traveled around quite a bit, didn't we? 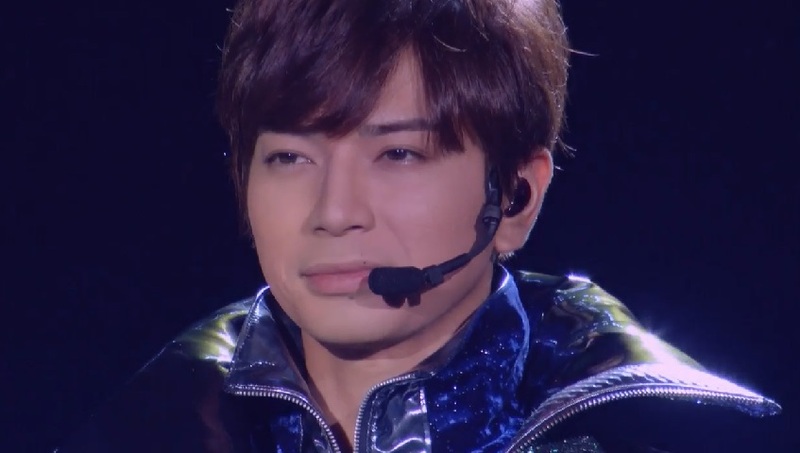 Shige: Those journeys were quite long, huh. Ohno: Yeah, like five or six hours, right? Ohno: He kept asking me questions the entire time, you know. Like, about the exhibition. Shige: I wanted to know how he got it to happen! 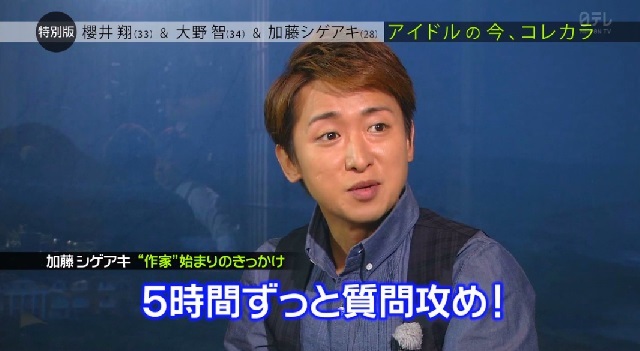 Ohno: He pestered me with questions for five whole hours! Sho (laughing): You still can't let that go, hahaha! Shige: That was a time when I was going through the worst of my own struggles, and it was then that I met with Ohno-kun. Ohno: Mmm, you were pretty troubled, yeah. Shige: He was a guy who was pushing the frontier and doing all this new stuff. Sho: So was there anything Ohno-san said at the time that left a lasting impression on you? Shige: No, he never really told me anything. In fact, I felt like he was always trying to gloss over my questions. Shige: Yeah, he'd just give BS-ey answers like: "Just do it, it'll be fine!" Ohno: No, no! You see, to me, that was the serious answer to your questions. Shige: Ah, is that so? Shige (laughs): But you know, after that, Ohno-kun was super happy for me when I published my first book. Ohno: I thought he was amazing! To just jump out with a this kind of image. Man, I thought he was really cool. Shige: I'm glad to hear that. *kanpachi = great amberjack, a type of fish. Well, that was a heartwarming exchange ^.^ This whole program was full of insightful, heartwarming exchanges (as well as some friendly teasing too, of course!). And now let's talk about what Ohno revealed about himself in this program. He's probably the one with the most media attention on him right now, given how recent Freestyle II is (it's still ongoing, isn't it? ), and the fact that his work has been overseas to Shanghai and all that yadda yadda. So what does the great sensei himself have to say about all this? Ohno: When I did it seven years ago, I was thinking I'd end it right there. 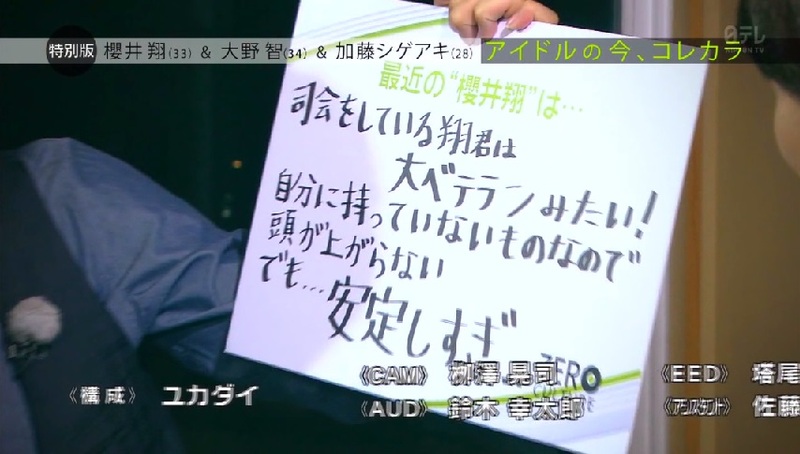 Ohno: Being in this world [of the entertainment industry]. Shige: Whoa, you're really starting this program with a heavy topic! It's something so typical of our Ohno-sensei, to just say whatever's on his mind without regard to the flow of the program (that's what Sho's there for, after all! ), and I think that in his mind, to some extent, the art from his first exhibition is firmly linked to that period of despair in 2007-08 where he was being overworked like crazy. Ohno: I thought I'd do something no Johnny's has ever done before, and then I'd quit. Sho: Phew! That was a close call! Ohno: Yeah, that was pretty close for me. Sho: So close, so close! Shige: But despite that, you didn't quit. Was that because of something to do with the exhibition? Sho: You're just full of negative words today. Please (to Shige), don't mind him. You see why I love Ohno? It's clear now, after all those Hawaii specials, that he went through a pretty dark time around that period, and it just warms my heart to see him being able to talk frankly about it in public, and have people laugh about it with him over a casual meal. You can totally see that he feels a lot more comfortable in his skin, and that he's actually taking the initiative to talk a lot more (without Sho's prompting!). I think Ohno is the type who talks a lot when he has something he thinks worthy of conveying, which is unlike Sho or Nino or Aiba, who sometimes talk a lot simply because they feel a professional obligation to fill an empty silence. Ohno hasn't seen how fans in Shanghai were reacting to his work, so the News Zero staff prepared a little VTR for him, which they watched together. It showed a lot of fans in Shanghai admiring the artwork, examining every detail, reading the info captions intently and even getting a little tearful. Ohno's comments on it, again, made me sigh in even deeper admiration for his humility and unassuming candor. Ohno: I'm happy. But you know, this art was something I did because I liked doing it, and in my heart, it was always something like a hobby, something I played around with. To show it to the people of Shanghai in an exhibition like that... I didn't know if it was really all right to do that. Aww Oh-chan! It was definitely more than all right! He always thinks of himself as being a "simple" man, and as such, I honestly believe (as unlikely as it sounds) that he just sincerely cannot grasp how much his mind fascinates people. He says that his art isn't really meant to have any "special meaning" and he's indicated before that he always got uncomfortable whenever people start talking to him about the highfalutin "what is art?" topics. So all the things we fans read into his art, like all the creepy skulls and distorted faces and the "chotto kimochiwarui" elements that were born of his creativity, are all a little embarrassing to him, I guess. He verbalizes this, too, and says "This is kinda embarassing." 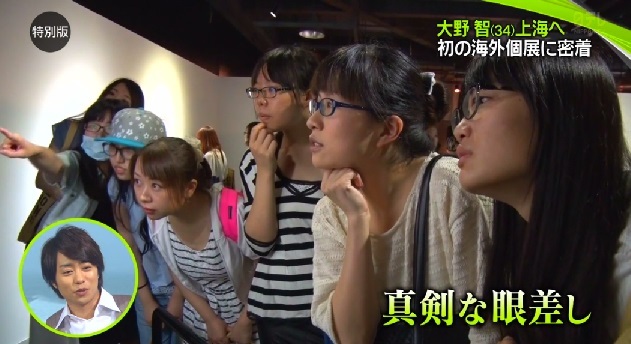 when watching the video of a girl intently examining his art in Shanghai. Perhaps it's what every person who's ever displayed a creative work feels like when they watch people surveying their work. I mean, no matter how much he tries to play down the "meaning" in his art, it's undeniable that Ohno does pour a lot of his heart and soul into his works, and to have people staring at it, drinking in every detail, I wonder if that makes him feel oddly exposed and self-conscious. There was another part of this three-way conversation that really stuck with me due to the candor with which all three idols talked about their "side jobs." It started with Shige, who asked Sho whether there were people who ever went up to him and said things like "You're a Johnny's, why do you have to be a caster, too?" 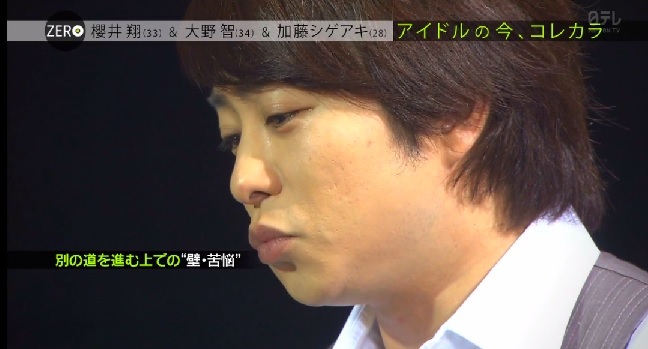 Sho: Mmm yeah, I did get that when I first started. I mean, back then, in the eyes of my newscasting colleagues, I must have been like a person who just appeared out of nowhere. Because you see, the people who did those same interviews as me, they all had to work their way up to that position step by step, whereas I just swooped in and immediately got the opportunity to do these interviews. So you know... I must really have seemed like a person who just randomly came out of nowhere. Shige: Ah, I think I'm probably someone who just came out of nowhere, too. I mean, for writers, usually you have to win a Newcomer's Award or something before you can actually become an author. I didn't win anything, yet I was able to write book after book, so it kind of felt like it was because I was a Johnny's that I was getting special treatment. Was my book even worth the 1300 price tag? With 1300 yen, you could probably buy a much better book. I would have thoughts like that, you know. But on the other hand, I guess that's also what drove me to keep writing until I could earn the acceptance of other people. I wanted other people to accept my work. (To Ohno) Haven't you had thoughts like that? Ohno: Well, in the world of art, there doesn't really exist a standard of what's right and what's wrong. So to be honest, I don't think there's really a rule on what's "good" or what's "bad" either. Sho: Because art's not something that can be compared, right? Ohno: Right, you can't compare art. Now if there's just one person who, after seeing my art, thinks to himself, "Ah! I should go ahead and create something of my own!" -- even if it's just one person-- I'll be very satisfied with myself. My tender spot for Yama rejoices at the fact that Ohno said something so non-elitist and reassuring in front of the creator of that infamously hairy Totoro, that shapeless panda (or was that supposed to be a cow?) and all those other numerous "atrocities" that graced the Sakurai sketchpad. But this talk was really not about these Arashi in-jokes (and actually, the first time I watched this, I didn't even think of Sho's lack of artistic talent!). It's really about what art is to Ohno Satoshi, and we can see quite obviously that it fits perfectly with what he was saying before, that in his eyes, art is something that one does for one's own amusement. After all, Ohno doesn't paint, sketch or make those plaster figurines because he wants to put them on display for a bunch of random strangers to judge and pick apart. He probably doesn't really care if we're turned off or grossed out by his work, because he's already absorbed most of the value he finds in his art when he engaged in the process of making it. It's stress relief for him (as he says elsewhere in this program) and even though he's happy to be able to share it with the public in the form of an exhibition, he really doesn't think of his work as anything pretentious, which is probably why he felt embarrassed while watching the Shanghai VTR. Another thing this talk addressed is something I've always wondered, which is whether these three have ever felt pressure to prove themselves in their non-idol industries. I mean, were there ever moments when they looked on their Johnny's identities as both blessing and curse? Sho and Shige both admit that their Johnny's connections and popularity as idols probably put them ahead of their peers in newscasting and writing, respectively. In that sense, I'm sure they're grateful to have the media presence that being Johnny's affords them, but every coin does have two sides, and when you gain fortune by way of shortcuts, you're always bound to pay for it in some way or another. In both Sho and Shige's cases, they paid for it by being haunted by some degree of self-doubt/inferiority in their "non-idol" fields, which resulted in them working their asses off just to gain the acceptance of their colleagues in those fields. Sometimes, I think that Ohno also gets a bit embarrassed that he's given the opportunity to hold exhibitions while other full-time artists (whose careers could probably use a lot more publicizing than his) do not have that blessing. He certainly seems a bit star-struck and humbled whenever he talks about working with big-name artists (like recently on his radio show, he was totally ecstatic over Fujiko Fujio A coming to FreeStyle II). The difference, I guess, lies in the fact that Ohno sees his art primarily as something therapeutic that he does for himself, and he's been making art since way before he was even Arashi, whereas Shige and Sho both started their "non idol" ventures after debut, and with the intent of using that to contribute to either their group or their own careers. So you could say that the very attitude to which they approach their "non idol" activities is different. Shige and Sho are more professionally-minded and see their writing and casting as something that primarily serves to augment their idol image (they aren't doing it for stress relief! though who knows? They might well find stress relief in the actual process of doing these things), so naturally, they're also the ones who tend to care more about how others evaluate their work. I'm very glad that they've both turned it into healthy motivation. 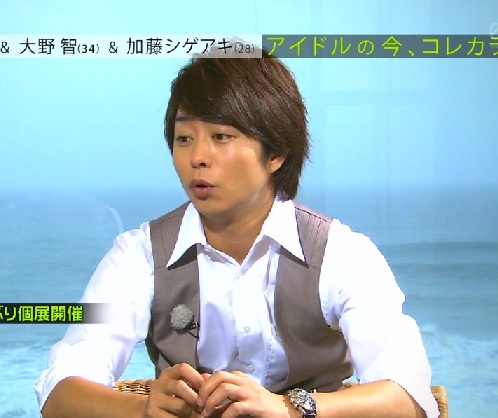 Sho also talks about an instance where he failed as a reporter. It was during the Beijing Olympics. Now if there's one thing that I respect about Sho, it's his dedication to remaining professional, whether it's as an idol, a newscaster, or a variety show buffoon. Sakurai Sho always puts on the most appropriate face for the event at hand, and I think Nino was spot on when he said that Sho-kun is "someone who can read the atmosphere really well." Sho is incredibly sensitive to the mood of his surroundings, and is able to act very quickly to direct conversations where they need to go. He's polite, he's polished, he smiles, pouts, teases and gets teased at all the right moments to all the right degrees. So it's really refreshing to hear him talk about any internal struggles he experiences underneath that composed exterior, and I'm glad he shared that episode about Tani-san with us. I mean, remember when we all found it so touching and unexpected when he broke down crying after that piano-playing thing on 24 Hr TV? 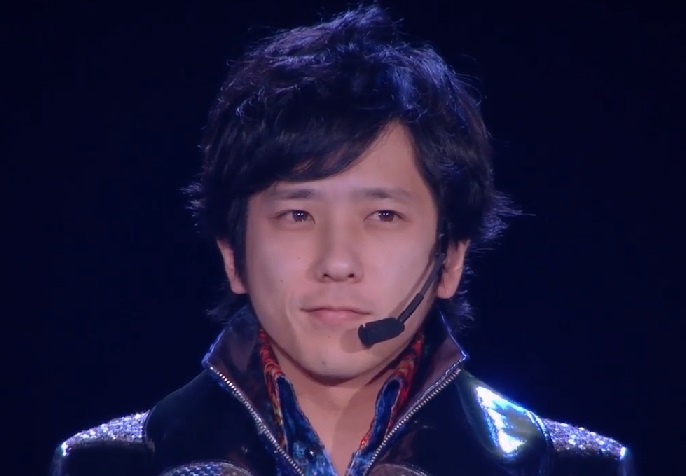 And remember also all those times people love replaying that clip of him getting tearful during his speech at Arashi's first concert (like, seriously, how many times have we seen that pop up as a VTR already?)? These moments of vulnerability are rare for Sho-kun, and I think it's because he consciously steers himself away from such things. Now allow me to digress here, but to be absolutely honest, I think that Sho is probably the one member in Arashi who is most uncomfortable sharing his inner emotions with us (Nino might be a close second, though that'd be a topic that merits its own separate discussion). He doesn't like to be "mushy" and this may sound bad, but I get the feeling that he often uses the mask of professionalism (be it suave or clownish) to avoid making any personal connection between himself and the audience. I don't mean it in a bad way, and I do like Sho quite a lot, but it just fascinates me how different the Arashi members are when it comes to how they appeal to their fans. We have Aiba, who thrives on his "approachable" image and tries to make his life relatable to his fans. Our Aiba-chan is often seen talking about common things such as family episodes, interesting foods, going to the public baths, and playing with impudent kids. Aiba is someone who acts like he wants you to see him as a friend, a peer, a nice guy-next-door, and as a result, he's extraordinarily generous when it comes to exposing his "vulnerable" side (just think of all the times he talks about his illness and his self-doubt about how he even came to be included in Arashi). Ohno is similar to Aiba, but a little less energetic about actively cultivating that image, which is fine, since he comes off as quietly inviting in his own way. At times when he does get emotional, he'll just let his tears drop naturally, and he doesn't spend a great deal of energy trying to direct the atmosphere away from the "mushy" stuff, either. Ohno is just an incredibly genuine person, which is his appeal. MatsuJun, compared with Ohno or Aiba, is someone who puts on a tad more airs, and I think he cares a lot about setting a good example as an idol, which is why he makes the effort to showcase his healthy/oshare/kakkoii lifestyle, with his balance balls and high protein diet and dedicated trips to LA for dance lessons... I often feel like the image that MatsuJun is going for is that of the "cool older brother" that everyone loves and wants to imitate. He's fashionable, he's serious, and I think he enjoys keeping some distance, but he's also a great friend with a tender romantic spot who's willing to listen to your troubles and have long, thought-provoking heart-to-heart conversations where he gives you blunt but helpful advice. 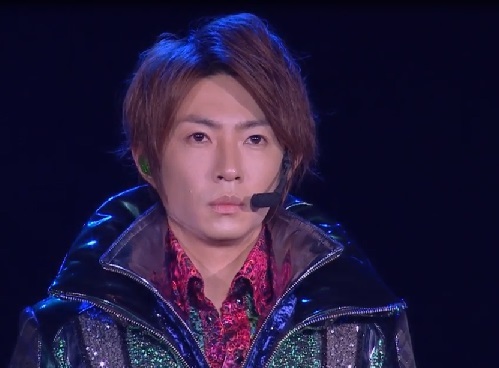 He might not look as approachable as Aiba or Ohno, but he's always got that I'm-going-to-be-true-to-myself attitude, so when he feels fulfilled, he's going to show it with full fireworks and laserbeams, and when he feels vulnerable, you can bet that he's not going to go out of his way to hide it either. The appeal of Nino is a complicated topic that would warrant a full post of its own, but in short, I think Nino is someone who plays the media like a fiddle because he knows he can. I mean, the guy is talented with words, that's for sure, and I honestly feel that he just doesn't give a rat's fart about how people perceive or judge him because he knows that none of it matters in the grand scheme of things anyway. Which is why he can let everything fly: the cynicism, the sweetness, the passion, the world-weariness etc. etc. He has his poor fans chasing their own tails as they try to figure him out! Unlike Aiba, Ohno or Jun, Ninomiya Kazunari is someone who wants you to see him as a kind of game, like he's an interesting little hobby you can pick up, play with for a bit, and then put aside for another rainy day. He doesn't like the idea of being tied down (one of the things he prizes above all else is his "freedom") and he probably wouldn't like the idea that his fans are excessively "tied down" or dependent on him, either. So that's why he often says self-deprecating things in his interviews. Nino's never said this outright or anything, but I sometimes get the vibe of "Hey, I appreciate your support, but please, get a life! I'm not that special." coming from him. *shrug* That's just my own gut feeling though. I obviously know none of the Arashi members personally, so I may be completely wrong. All right, so where were we? Ah, yes, Sho. My point was that Sho just never seemed to like getting all personal and mushy with his audience members. I think he prefers to keep his distance. I think he prefers being the dependable MC, the humorous trivia box, the laughable fool, the reliable reporter. He likes being a kind of guide to his fans, friendly, pleasant and knowledgeable, but not overly intimate. I mean, how many times does Sakurai Sho ever bring private episodes with his family into casual conversation? And even when asked to talk about his "private" life, he tends to stick to a fast-paced narrative ("I went here, then there; I did this, then that...") whereas the other four are a bit more open to letting us into their actual thoughts and feelings (take the members' Hawaii "private time" videos for example: Aiba showed us how he prepared a personalized birthday surfboard for Jun, Ohno waxed poetic on fishing and lures, Nino waxed a very different kind of poetic on the nuisance of being dragged outdoors, and Jun showed us how a superstar buys his souvenirs. And what did Sho do? He walked us through a Point A to Point B to Point C to Point D laundry list as he took a whirlwind trip through one of the smaller Hawaiian islands). I mean, I'm not saying that Sho's wrong or that he's a bad idol, because I think Arashi certainly needs a reliable action-oriented person like him to get things done. I'm just saying that his appeal is pretty different from his fellow members'. It's worked out well though, because as far as I cans see, he has just as many fans as the others, and it's probably for his own well-being that he chooses to keep this distance of his, so who's to say that he shouldn't continue on like this? Ohno (reading from the note he wrote about Sho): In his role as an MC, Sho-kun seems like a really experienced veteran! Because he has talents that I don't, I feel like I ought to bow my head to him in respect. But still, he's a bit too stable. Ohno: He's really amazing, I don't even have words for him anymore. Ohno: But... if I had to nitpick, there'd be just one thing I'd say. (pauses). He's boring. Sho (breaks into laughter and smacks Ohno's shoulder): You mean like I'm not the type to rake up a miracle or stuff like that? Haha, well, I wouldn't say that Sho-kun's "boring," but he is certainly predictable, and perhaps that's what Ohno really meant to say. It's Sho-kun's so-called "boring" predictability that makes him so reliable, after all, and I'm sure that Ohno and all the other members and people who work with Arashi have come to deeply appreciate this trait of Sho's. Now let's just go over one more topic these three touched on (seriously, I'm going to control myself otherwise I'm going to end up recapping the entire program!). Shige: I've always thought of the age of 30 as being a kind of threshold. Are there certain things that have changed since you turned 30? Sho: There is something that I've felt really intensely, and perhaps Ohno-kun knows the feeling, too, but it's this feeling of extraordinary fretfulness. Because you see, the next milestone for us would be the age of 40, right? And I just keep thinking, "Oh no, we can't go on like this, crap, we can't go on like this!" I'm talking about us as a group. You see, when the five of us put our arms around each other's shoulders, there'd be people who go "Ah, they're so cute!" And when the members high five each other, there'd be fans who kyaa for us. Things like that happen quite a lot. But someday, there'll come a time when we're not so cute anymore. We're only human, after all. So I think that starting from now, we have to be laying the groundwork for when that time finally comes. To put it simply, it's not going to be about our popularity anymore, but rather about our actual talent. At this point, all I can say is: Good luck, and make us proud, Arashi! Thank you so much for sharing your well-informed insights on Arashi! I am so happy that you have returned to sharing these thoughts on your blog, and I hope that you will write lots more. Thanks for your praise. I admit that I have been neglecting this blog recently. I've just had less time and then there were a few months where I spent most of my free time translating arashi articles instead of airing my own opinions here. I'm glad you still find my ramblings enjoyable! Thank you for your amazing insights on Arashi especially on their lives and personalities. Idols are just like any other being on earth, they're only human and they're allowed to make mistakes and even show what kind of news/information that they want to tell to their fans, including their private lives. I just starting to like them, be one of their fans and I never would imagine the life beyond the idol-ness..especially about these three people. Thank you! & Keep up the good work. PS: I'm gonna follow your blogs from now on :) Sorry for my English. Welcome to the fandom! I'm always delighted to meet new fans. Arashi is often surprising me, and I think that much of what I write about their personalities and characters is probably not doing them justice at all, but I'm glad that some people can find it entertaining and intriguing enough to continue the journey into knowing Arashi. Claim free bitcoins over at CLAIM BTC Faucet. Up to 57 satoshis every 20 minutes.